Richard Wilke is a bishop in the United Methodist Church. 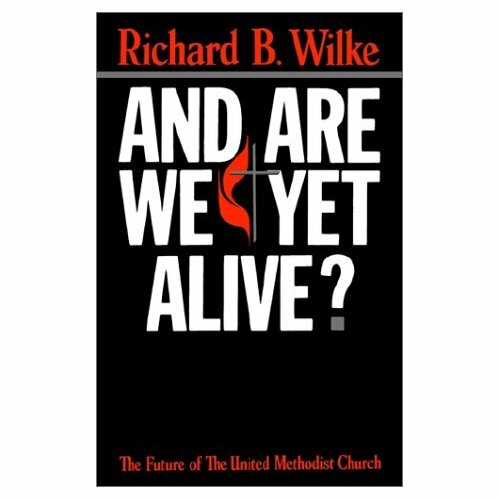 His words were published in And Are We Yet Alive, a controversial book at that time about the future of the United Methodist Church. I read this book in the late 80s with a group of pastors charged with leading the Christian education ministries for our district. Our programs were plateauing. We were concerned, looking for answers. This book served as a shot across the bow of our big ship. Wilke stated, “The decline in our church school began in 1960 and has continued precipitously ever since.” (2) The United Methodist Church had lost a significant part of its membership in 25 years. 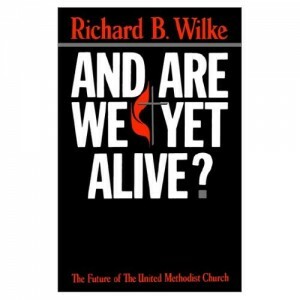 Wilke believed that the declining commitment to teaching and discipleship was directly related to the overall decline in the UMC. Now, twenty five years later, we are beyond the plateau in Christian education in the US Assemblies of God. 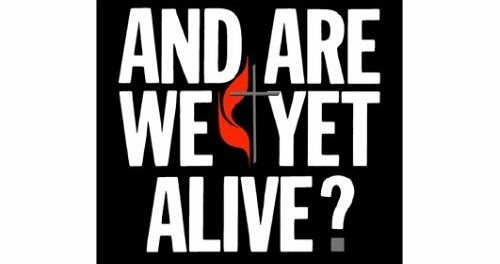 It is so painful for those of us that were involved in the heyday of the 70s and 80s to see the declining state of Christian education in our churches. Then our churches were experiencing explosive growth and Sunday School still mattered. Today, many have eliminated Sunday School and for most of the rest, it looks like a tired old man! I think it’s harder for us as missionaries since we only get a closer look once every five years. Nowhere is this loss of emphasis more clearly seen than in the ministerial training programs in what were our own Bible colleges. When I attended Northwest College in the mid-70s, the vast majority of the 700 were ministerial students. Of course, there weren’t many other options in those days. Today, Northwest is a university, with twice as many students and a much more diverse program. But the ministerial training program, once the core study plan, has receded into the shadows. (3) Northwest is not alone. Even though a few of our schools are thriving, we are in the consolidation and closure mode. There is no single explanation. It’s complicated. Without question, the call to ministry and ministerial training begin in the local church. Northwest was started by a pastor and a local church, what was then Hollywood Temple in Seattle. Soon after, the church relocated nearby and was renamed to Calvary Temple. I served six years on the pastoral staff of this great missions church. Today, the story is repeated as churches and districts are opening new schools of ministry to make ministerial training more accessible to the called. What about the Latin America/Caribbean region? Where are we at in the life cycle? Are we doomed? What can be done to avoid the inevitable? I wonder what Christian education, especially ministerial training, will look like 25 years from now in Latin America and what vitality treatments may exist to maintain vibrant training ministries. Following are some of my observations about Christian education in the Spanish-speaking countries of the Latin America/Caribbean region and missionary involvement in ministerial training. We must buck the life-cycle tendency towards decline and maintain a strong emphasis in Christian education. I do not believe that we are doomed to repeat history. But we will need to work hard to avoid it! This applies to the local church, training institution and general-district council structures. In preparing the reports for the International Dialogue we asked each country to identify their top three concerns or needs in their ministerial training program. After the reports were received, the large group selected the top four or five concerns. These concerns were assigned to small groups for study, who later reported their findings and recommendations to the large group. The concern voted number one was the need for the national church and education department to “value and protect” effective training of ministers. The representatives present recognized potential slippage in commitment and emphasis given to ministerial training. The report rightly emphasizes the important relationship between the Bible school and local pastors. Logically, all Bible school students will come from local churches. These two entities must work in tandem to value and protect ministerial training. in the Leave a Reply section. 3 Statistics of the number of ministerial students in our 19 A/G schools are difficult to come by. I found this website http://www.onlineeducation.net/school/northwest-university that provided the number of degrees issued by program. Of the 508 undergraduate degrees awarded, 118 appear to be from degree programs related to Bible, theology, ministry or religion. This number surprises me as I expected it to be closer to a 10 to 1 ratio. If you have any statistics, please write! 4 The International Dialogue of Educational Leaders, conducted every two years in the odd years by the Resource and Advisory Center (Centro de Recursos y Asesoría). A complete report of the 2011 International Dialogue is available on the Center’s website at: http://elasesor.org/201103Dialogo.aspx. I see Christian Education as a tired old man that has gotten it’s second wind and is getting back on a healthy diet to return to full health and purpose. Thanks, Rod, for the thoughtful, carefully researched and courageous article. If we go for eternal gold, we will be uncomfortable in some circles but happy and grateful when we arrive at the Judgment Seat of Christ. Thank you, Rod, for an excellent analysis of the state of affairs of Christian education in Latin America and the United States. Our delivery systems, facilities, and schedules need to change with the culture while staying true to the timeless principles in God´s Word. We are all sold on the importance of ministerial training, so lets be open to “putting a new pair of shoes” on the tired old man to see what happens. Rod, thank you for your article. I am really excited for the ammount of students we have in the L.A./Caribean region. One of my concerns however, is about the impact our students are having in our society at large. When I see the high percentage of evangelicals, and evangelical pentecostals contrasted with the social ills of our continent, makes me think of the kind of instruction we provide in our churches and in our institutions of learning. In other words, the tired old man may be lurking around the corner and may want to become confortable with the status quo. I think we need to revitalize many of our approaches to education by giving greater emphasis to the work of the Spirit without setting aside academic rigor. Rod, I appreciate your concern about the quality of Christian education in our day. I am itinerating and have seen interesting patterns of decline in some churches while witnessing healthy flourishing in others. A pattern emerges that demonstrates a connection between genuine pastoral care for children and sustainable growth. Whatever else we do to improve Christian education we must prioritize the spiritual formation of children. Our Bible schools have continued the disfunctional practice of concentrating on the task of preparing leaders that primarily think of ministry in terms of service to an adult congregation. We have ignored our responsibility as educators to train students to understand that any and all decisions made by leaders will affect the lives of children. This theological blind spot becomes even more troubling in Latin America where children are a large portion of the population. Sunday School originated as a program to provide education and spiritual nurturing to the children of factory workers. It was not specifically designed for the entertainment of the children who already attended church. Christian education needs to revive its committment to the needs of the lost to avoid becoming a tired old man. Since children represent the largest group of unreached people on earth, their deep needs, amazing gifts, and full humanity must be returned to the center of concern. Thanks all for your comments. I’d love to hear from some more! Mark, I agree with you. You’ll be happy to hear that we’re finishing up the Children’s Ministries specialization for the Plan Basico! We’ll be presenting it to the SEC Admin. Cmte the end of August.